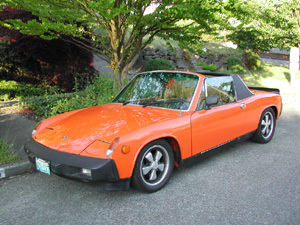 I disagree that that spoilers looks bad on a 914. I have one (that covers up the dent in the rear lid) and I like the look, it kinda finishes the car off to me. Now, I have a later car so it has the big rubber bumpers too.